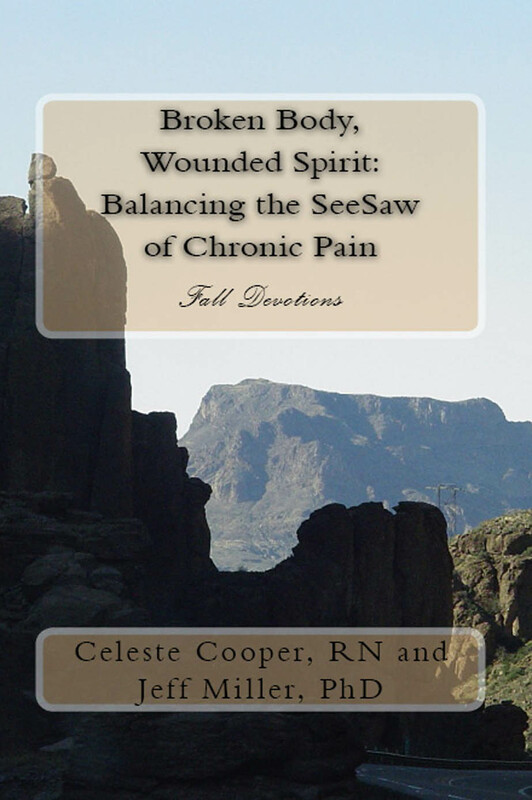 The Pained Ink Slayer: Free copy of Broken Body, Wounded Spirit: Balancing the SeeSaw of Chronic Pain, Fall Devotions EBook by Celeste Cooper, RN and Jeff Miller, PhD, Sunday, October 19th and Monday, October 20th. Free copy of Broken Body, Wounded Spirit: Balancing the SeeSaw of Chronic Pain, Fall Devotions EBook by Celeste Cooper, RN and Jeff Miller, PhD, Sunday, October 19th and Monday, October 20th. On Sunday October 19, 2014, download a free Kindle Ebook copy of FALL DEVOTIONS (Revised 2014). It is one in the Broken Body, Wounded Spirit: Balancing the SeeSaw of Chronic Pain four book series. Ranked #1 in its genre during the initial launch. For our US readers (Pacific Time, here. For our UK readers (Pacific Time), here. For our Canadian readers (Pacific Time), here. Paperback version available on Amazon, here. and on Barnes and Nobel, here. Find it at Amazon, here. Find it at Barnes and Nobel, here. Broken Body, Wounded Spirit: Balancing the SeeSaw of Chronic Pain, SUMMER DEVOTIONS with five star seal from Readers Favorite. Integrative Therapies for Fibromyalgia, Chronic Fatigue Syndrome, and Myofascial Pain: The Mind body Connection. I started this book on my Kindle with the first day of Fall. I love it, Celeste, and that you are a voice for those of us who deal with chronic pain. I've battled fibromyalgia for several years and have read everything I could find during that time. I found your Integrative Therapies to be the single best resource available. My story is much like yours in that I am also a registered nurse who was forced to leave work I loved because of pain, fatigue and fibrofog. I will be delighted to have a paperback copy of this book as well as the Kindle version. Bravo and thank you!